The primary responsibility of any responsible government anywhere in the world is to ensure the safety and well-being of its citizens. 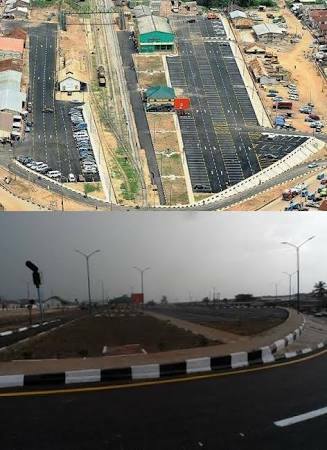 The State of Osun experience in the spheres of infrastructural and human capital development is worth applauding when compared to what the administration of Ogbeni Rauf Aregbesola met on ground and how he has been able to transform Osun in less than 3 years. Unusual happenings are unfolding in all sectors in the State of Osun; the Aregbesola administration has completely transformed and changed the status of the state. Less than 3 years ago when Aregbesola was inaugurated, he pledged that he is offering the good people of Osun a friendly government, a government totally committed to unlocking the latent potentials of Osun people. In the last two years, some unusual happenings unfolding in the educational sector of Osun, have completely transformed and changed its status. 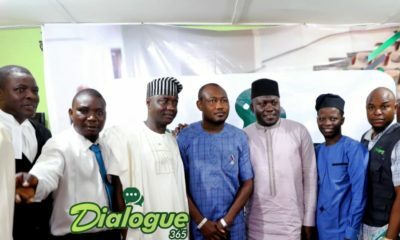 These are seen as the major products of the education summit spearheaded by renowned Nobel Laureate, Professor Wole Soyinka and other stakeholders in the education sector, which was convened by the current administration shortly after assuming the mantle of leadership of the state on 27th November 2010. The administration took some drastic steps in addressing the menace in the education sector and the first assignment was to convey an education summit with a view to reviving and making it a major contributor to the development of individuals and the society as a whole. Before the administration came on board, many had complained about the quality of infrastructure in public schools being in a total shambles, including the state-owned tertiary institutions. In fact, critics lamented that most of the schools were turned into mere certificate awarding centres, with the state becoming one of the least performing states among its peers in educational affairs, as only three per cent of its candidates in the 2010 West African Examination Council secondary school certificate exams had five credits including English Language and Mathematics. Presently, some success stories are believed to have been recorded in the sector owing to some drastic steps taken by the government in solving the problems. One of the bold steps taken by the current administration in sharpening the sector is the provision of two pairs of unified school uniforms to each of 750,000 pupils in all the public primary and secondary schools across the state to boost the morale of the students and further promote unity among the public schools in the state. 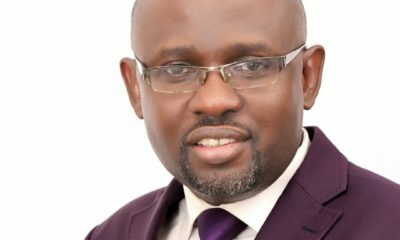 The provision of the uniforms free of charge reportedly gulped a whopping N800million aside from N1.8billion being injected for the running of basic education in the state including the provision of examination and running grants as well as education instructional materials for public schools. No fewer than 3,000 tailors were contracted by the government to sew the new uniforms made of Adire batik. The material was chosen to empower the artisans and Adire makers in the state and as well make the state a reference point for its creativity to others. The administration is also injecting a whopping sum of N30billion to give a new lease to the structures and classrooms under which pupils studied going by the recommendations of the summit. Under the arrangements, the state government is constructing 170 new model schools across the state to replace the dilapidated buildings with state of the art facilities expected to enhance and stimulate the teaching and learning environment. While 20 of the schools are for students in Senior Secondary Schools, SSS1 to SSS3, when completed, each is expected to conveniently accommodate 3,000 students on the basis of 40 per class. 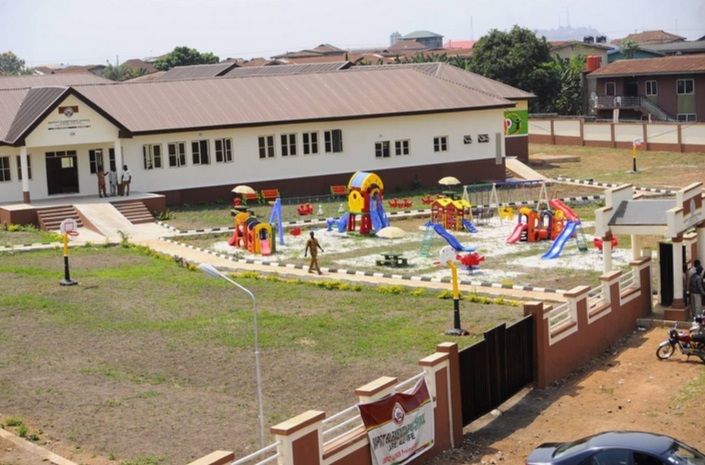 Each of the structures, expected to come with an examination hall that can comfortably seat 1,500 students and two e-libraries; one for sciences and the other for arts and social sciences would cost the N700 million, according to the government. For Junior Schools, from Primary 4 to Junior Secondary School 3 (JSS3), 50 of them would be constructed, each accommodating 1,250 students while the elementary schools, Primaries 1 to 3, which would be 100 pieces across the state, would conveniently accommodate 900 pupils. To further stimulate the interest of students to learning, the government said it is reducing the burden of having to go to school by replacing books with a computer tablets invented for that purpose. The equipment, designed in form of an iPod called “Opon Imo,” contains the entire senior school syllabus, including Yoruba traditions, past questions of the West African Examination Council (WAEC), National Examination Council (NECO) and Joint Administration and Matriculation Board (JAMB) for 10 years in the software design for the system. All these, is focused at reducing the phobia associated with learning and increase students’ interest in learning; and completely turn learning into play in schools and at home. Besides, in a bid to encourage enrolment of children in public schools, government rejuvenated the school feeding programme, tagged O’MEAL. This singular act has reportedly increased the enrolment figure in public primary schools by 40 per cent in the last session, with further increase envisaged in future. Determined to ensure the sustainability of the programme, government also said it was committing N3 billion annually for its implementation. Besides, the government, which also increased the running and examination grants per student in public secondary schools to N150 and N400 making a total of N550 against the N150 made available by the last administration in the state and N400 per pupil in primary schools says it was investing about N500 million annually, for the scheme. The government also intervened in the school fees paid by students in all the five state-owned tertiary institutions by reducing the fees payable. For those at the polytechnic and College of Technology, the fee was reduced from N42,000 to N25,000, while those in the state university was slashed from N205,000 for Law and Medical Students to N100,000. Sciences was reduced from N155,000 to N75,000 while Social Sciences and Art now pay N75,000 instead of N130,000. Another milestone in the educational sector under the current administration was the scholarship offered to all the 98 medical students of Osun State University (Uniosun) for their clinical courses so as to complete their medical programme in far away Ukraine. The intervention was said to have gulped N146million at the rate of $7,000 each, comprising the cost of training, accommodation and other sundry matters while their parents were supposed for care of their feeding only. It is unarguable that Osun remains one of the few states in Nigeria which can be said and judged to be peaceful and with the lowest crime rates. 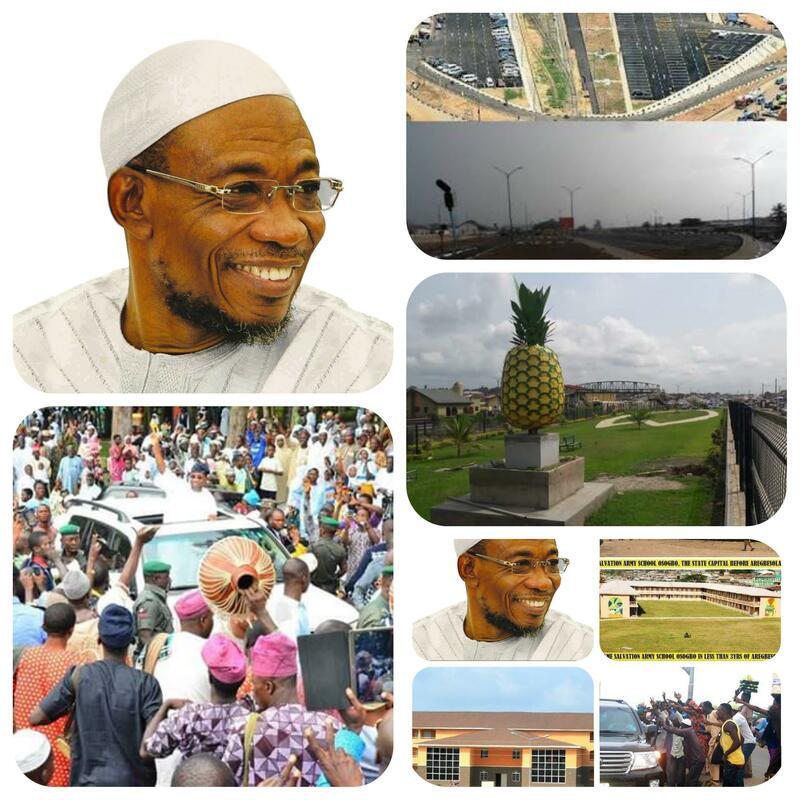 Aregbesola’s government places high premium on security of lives and properties. This stems from the belief that peace and security engender growth and development. On the contrary, insecurity poses direct threat to direct investment both local and foreign as no investor would risk investing in an atmosphere of violence and insecurity. Against this backdrop, apart from the regular police manning the state, government set up dedicated crime response team nicknamed Swift Action Squad (SAS), who are now visible in strategic areas in the state as well as identified troubled sports. Government also equipped this special squared with five Amoured personnel Cars (APCs) and 25 patrol vans for surveillance. Government also constructed two state-of-the-art police stations and multi-force security control centre. Not done yet, additional 100 patrol vans were also to be provided for the SAS and seven more police state to be built. Currently, a state –wide distress management system, which would allow security agency to respond within 40 minutes, is being developed so as to guarantee effective and efficient crime, detection, crime prevention and crime control. In addition to this, a community policing network is also evolving to boost security network across the country. Because security must be all-rounder, government recently purchased a helicopter for SAS for area surveillance of the state. Aregbesola’s government intends to make the state crime-free. Hence all these efforts are geared towards making Osun not only a no-go-area for criminals but also a no-crime-area as well. About 90 percent of the Nigeria’s over 150 million people are said to have been living below poverty line. An average Nigerian lives on less than a Dollar per day. Coupled with this is the rising unemployment across the nation. The Aregbesola government’s response to this is a structural empowerment programme that targeted both the young and old. Government put in place last year, a social security for the most vulnerable old people in the state. Under this programme tagged Agba Osun (Osun Elders), the government, through comprehensive enumeration selected about 1, 600 most vulnerable people across the state and placed them on monthly stipend of N10, 000 for their upkeep. This welfare programme is meant to keep these elderly people’s body and soul together and forestall the ugly trend of these old people roaming about the streets and motor parks begging before they eat. This social security policy has thus taken the vulnerable elders out of the streets and keeps them back in the comfort of their homes with no more frets about what to eat. It is a landmark employment creation in the annals of the nation. 20, 000 youths employed within hundred days of a government in power. Tagged OYES, the youth volunteers were engaged to render community service and placed under monthly stipends of N10, 000. This scheme alone ejects extra N200 million to the state economy every month. Through this empowerment scheme also, about 5000 youths trained to acquire special ICT skills through the OYESTECH. Just last month, they all graduated with some of them employed by private organizations and some other empowered by government through soft loans to start their own business. The OREAP programme also empower 600 youths in the government’s agric enterprise academy as well as sponsored 50 youths to Germany to acquire advanced farming skills. In the area of education also, over 6000 qualified youths were engaged as teachers in state’s public schools. The school feeding scheme (O’MEAL) for the elementary school in the state also employed about 3000 caterers, who cook delicious meals for the children. Equally, through the school uniform programme, government empowered 3000 tailors, who were sourced locally to sew over 750, 000 pieces of school uniforms for elementary, middle and high school children. All these schemes aimed at engaging the youths, reduce poverty as well as crime in the state. In order to improve the physical condition of urban areas of Osun State, the Rauf Aregbesola administration has provided N100m counterpart fund to the UN-Habitat initiative. The partnership, which will explore the state’s urban renewal potential, will also focus on rural-urban developmental potential. The partnership is sequel to the collaboration of the state government with UN-Habitat for the preparation of structured plans for nine cities. The cities, which include Osogbo, Ife, Ilesa, Ejigbo and Ikire, among others, have been earmarked for urban renewal by the state government. The partnership agreement was concluded at the UN-Habitat headquarters in Nairobi, Kenya, during the 24th governing council meeting of the agency. These programmes are necessarily aimed at successfully preparing and implementing the structural plan project currently going on in nine cities in the state. The state’s N100m contribution to UN-Habitat was fully paid last year by the state government. In consonance with these preparations, the UN-Habitat has agreed to give technical support in the area of effective deployment of these tools. The training programme will address areas like unsuitable urban growth, problems affecting the environment and growing inequalities between the rich and the poor and serious distortion in the form and functions of cities, among others. The belief of this government is that people in the state must have healthy mind in healthy body. Thus, government introduced and has sustained free health service across age strata. The planned healthcare facilities have to be in such a way that the people, either living in rural or urban areas, should have direct access, to them effortlessly. Consequently, government planned the location of the facilities in such a way that the citing of the hospitals, referral hospitals and healthcare clinics fall within reasonable radius to one another across the state. 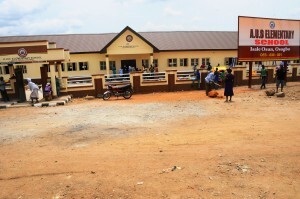 A specimen looks like this: Primary Healthcare clinic within 10 (ten) kilometers radius of every Osun town with special attention to the needs of the children, women and elderly; a functional General Hospitals within twenty (20) kilometres radius of human habitation and Referral Hospitals within 30 (thirty) kilometres radius of human settlement. Within the years in review, government has also built 74 additional primary health centres across the state. In the past two years, government has carried out six medical and surgical missions to offer free treatment and surgeries to several thousand citizens. Provisions have been made for over N300m worth of drug to state hospitals and primary health centres. Apart from physical development, government also focused on human capacity building in the health sector by empowering about 400 youths as paramedics to join Osun Ambulance Service Authority. This government believes that the health sector has not been uplifted to an optimum standard. Thus, it has shifted his attention now to training and upgrading of cadres of health sector. Oddly, this has not been done in the history of the state since its creation twenty years ago. The idea behind this retraining is for the medical personnel to be exposed to latest medical technologies and technics in various fields of medical practices. 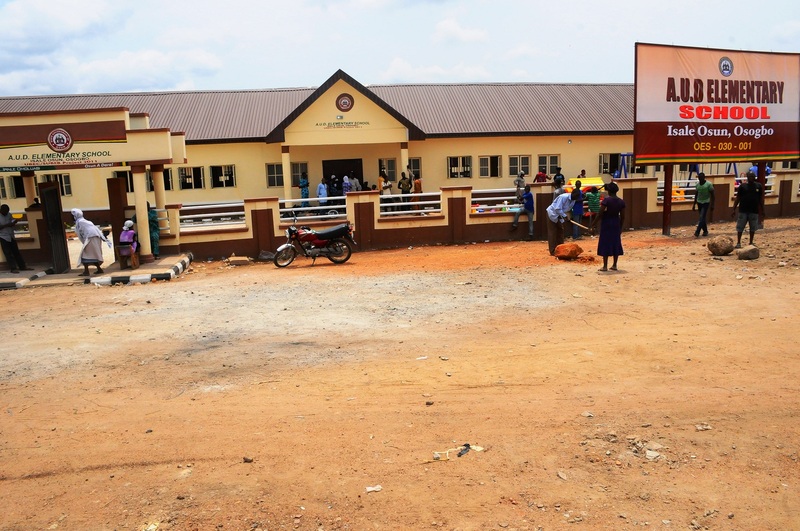 Hence, the State of Osun Government has committed N18 million for sponsorship of six medical personnel to the University of Magdenburg Teaching Hospital, Germany. A government that understands and recognizes the importance of human resources development as a veritable asset of growth and progress of a state would not but continue to do more in this direction. This is where the current administration is making a sterling difference. 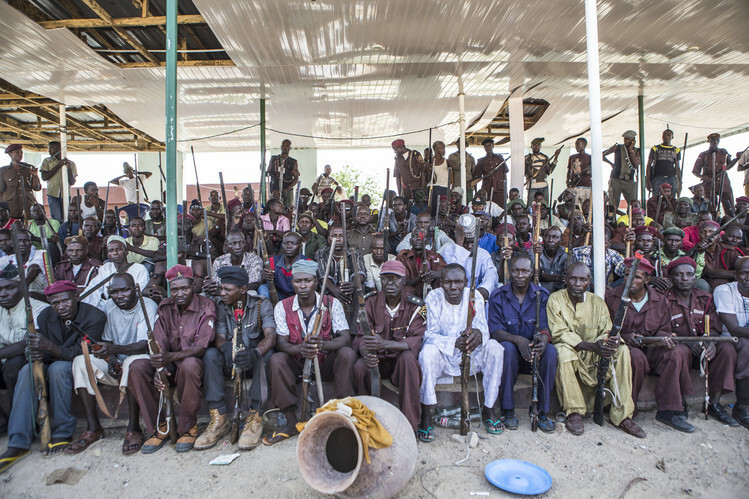 No nation or state thrives in an atmosphere of violence and insecurity. Peace and security are the major developmental ingredients without which any investor, local or international, can be attracted. Statistically, Osun is said to have one of the list crime rate in the country. The security of lives and properties ably guaranteed in the state is a veritable carrot the state dangles to investors and they followed. Dagbolu as a commercial hub is a mid regional market for the entire South West. 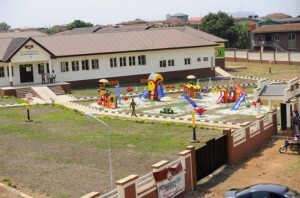 Less than five kilometer outside Osogbo, it is expected to be a logistic village where various warehouses would be specifically built for relevant investors and manufacturers so that their goods would be sold to the people of the state at the exact prices they are being sold at Oke Arin in Lagos, for instance and other major markets in Lagos. There are also international markets for ready-made products. Currently, Ayegbaju International Market, located at the old governor’s office and Aje International Market, sited at the state Trade Fair complex along Iwo-Osogbo road, when completed are to be major markets for the hinterland states. About 3 years ago when the present administration came on board, it met almost all the state roads, intra-city or inter-city in the state are deplorable and impassable. By November 2011, this administration embarked on a palliative measure partially or wholly in some instances. These include road like Okefia-Olaiya, Olaiya-Ita Olookan and a lot of roads that service the people within the capital city, which were left unattended to. Olaiya down to Iwo road was part of the roads touched because of its importance. Ilesha, Ife town, Modakeke, Moro, Ashipa via Ipetumodu roads were impassable but which were quickly attended to. There is no part of the state that is left untouched in terms of roads construction and maintenance. In other words, government also constructed 61 township roads covering over 128km while inter-city roads covering about 294km were upgraded. On inter-city roads, a 47km road from Osogbo/Ikirun to Ila-Odo, Kwara State boundary is on-going. 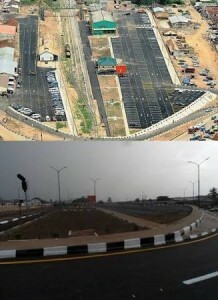 There is also an ongoing construction work on Gbogan/Odeyinka/Orile owu to Ijebu-Igbo in Ogun State, covering 74km. 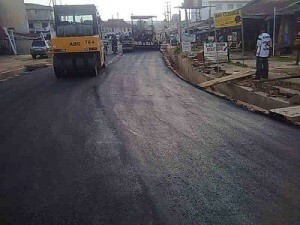 Iwo-Osogbo, Gbongan-Osogbo Roads are roads considered as major link road to the southern part of the country such as Lagos, Oyo and Ogun States. So the 58-kilometre Iwo-Osogbo Road has also been penciled down for dualisation. It is not only road construction that government focused, other social amenities were and are being put in place. For instance, Ede Waterworks has been rehabilitated to increase production from 17 percent to 30 percent capacity. The most prominent question people ask is: where does the government get the money to finance all these projects? The secret of this is that government and the contractors are in agreement whereby the contractors finance the project after its award and government will offset the bill later. With this innovative system, Aregbesola’s government would in the main pay attention to the most urgent and critical needs of the people.